down by Utah lake. Sleepy Ridge has a gorgeous country club feel, minus the cost! At Sleepy Ridge, we not only help keep you within your budget, but also give you - The Freedom to Create the Wedding of Your Dreams. As you are planning your upcoming wedding reception in Utah, surely you are hoping to find a location that is not only beautiful, but where you feel you get the most of your wedding budget. Planning a wedding is not easy. Between dresses, flowers, meals, decorations, and itineraries it’s no wonder that many brides-to-be feel a little overwhelmed during the planning process, especially when a budget comes into play. 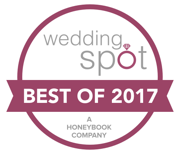 Sleepy Ridge is the perfect place for a bride to simplify the wedding and reception planning process because of the inclusive wedding and reception packages we have to choose from.